What do you think of these gorgeous botanical blooms? In February here in Wisconsin we have lots of snow with no hint yet of any flowers. Seeing this pretty flower and dainty foliage is definitely turning my thoughts to gardening and thoughts of spring. 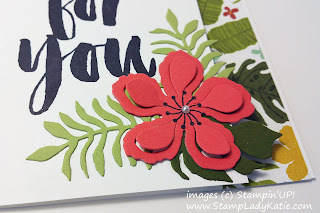 The product used on this card is the Botanical Bundle. 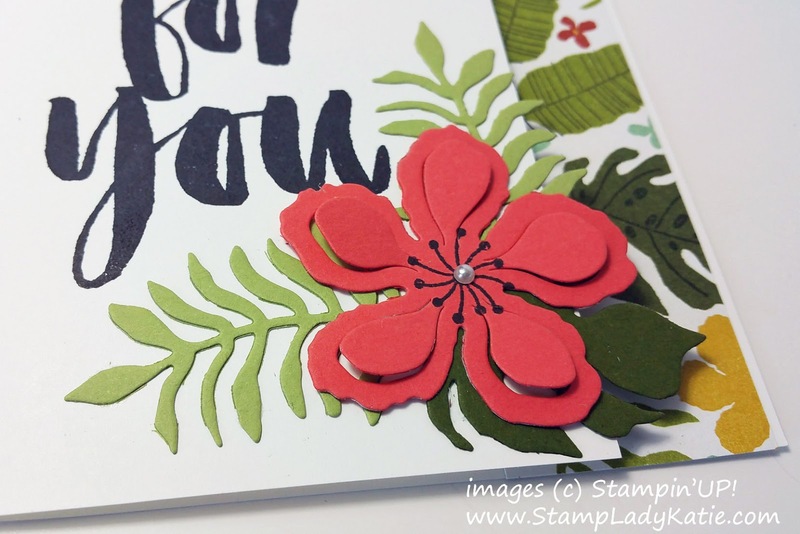 The interesting thing is that not only do the stamp set and dies match . . . but with this bundle the Designer paper is meant to be stamped on and die cut. This card has so much going on its hard to describe it all. You know what, just watch this quick video (3:35) and you'll get the idea how this product bundle all works together. This product list shows individual prices for the stamp set and die. You can also bundle the product to save 15%. 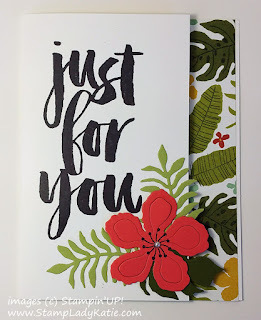 By the way, the reason the "Just for You" stamp set has no price listed is because its a free item when you place a qualifying order during Sale-a-bration.